Nationally recognized advocate and bank liaison for non-profit housing agencies, Michael Roberts takes helm of R.E.A.C.H. Palm Beach Gardens Office March 11, 2016. 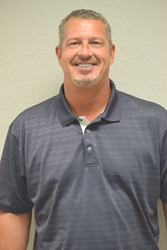 Real Estate, Education and Community Housing, Inc. Board of Director’s and staff are pleased to announce that Michael Roberts of Jupiter Florida has been named Executive Director of R.E.A.C.H. Nationally renowned as a bank liaison to the housing counselors, Roberts has 20 years combined experience in the lending and banking industries. He is known for his effective communication and keen ability to resolve issues. He brings robust experience, infectious energy, and creative innovation to R.E.A.C.H., as the organization begins its next phase of work toward helping and assisting homeowners in addition to the youth of South Florida. Chief Executive Officer Pat Tracey said "Roberts is the perfect choice to continue R.E.A.C.H.’s strong voice that improves home retention and ownership for homeowners, while bringing new ideas that provides healthier alternative to Florida youths. He passionately and honestly believes in people and has a clear-eyed vision for making their situations better." Roberts started in the banking industry during the late 90’s first employed with Ocwen Federal Bank, before transitioning to the lending industry. He was the CEO of ASAP Mortgage and Investments, a financial lending company in Florida, Louisiana and North Carolina employing 200 loan officers before transitioning to Bank of America. The last six years Roberts was employed at Bank of America, where he managed the Charlotte and Pittsburgh modification sites. In 2012, he acted as the banks National Relationship Manager spearheading scalations and fostering relationships with housing counselors assisting homeowners through the modification process. Most recently, Roberts was the point person to the New York State Attorney General’s office and to the Department of Financial Services, while assisting the rest of the non-profits agencies in New York State. You can contact Executive Director Michael Roberts at mroberts(at)reach4housing(dot)org.